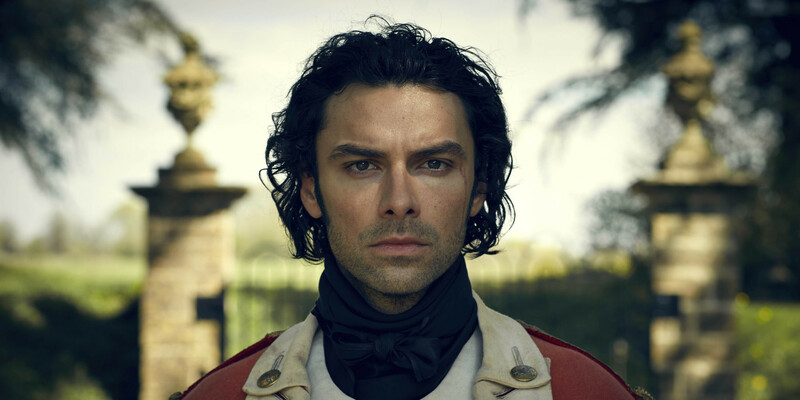 If you are a frequent visitor to Telly Visions, you may already know about the remake of the 1975 drama/romance series Poldark coming to PBS in June. If you haven’t heard, this new version stars Aidan Turner as Ross Poldark, an English Revolutionary War soldier who has returned home to Cornwall only to find his world turned upside down. The series was very well received by viewers in the UK earlier this year, particularly the female audience. Poldark and its star became a social media sensation evidenced by the fact that Twitter handles such as Poldark’s Hair and Poldark’s Pecs starting popping up. Not since Mr. Darcy in his wet shirt has such a swoon-worthy fuss been made about a literary page to small screen character. Therefore, I felt it timely and appropriate to introduce those of you unfamiliar with Aidan Turner to this Irish actor and bona fide heartthrob. The following are examples of most of Turner’s featured roles leading up to Poldark. Alarm. Like many actors, Turner got his first substantial part in a small budget thriller film. Not the most auspicious debut, but we won’t judge him on this role alone. Alarm is about Molly (Ruth Bradley) who has been traumatized by witnessing her father’s murder. She moves into the Dublin suburbs to escape her fear and the crime-ridden city. Here she reconnects with an old school crush, Mal (played by Turner) and they quickly become a couple. Alas, Molly’s old life seems to have followed her to her new home where she is repeatedly burgled despite having an elaborate alarm system installed. The question is who is tormenting her and could it possibly be someone she knows very well? Desperate Romantics. In this period drama, Turner portrays real life English poet and painter, Dante Gabriel Rossetti. One of the founders of the Pre-Raphaelite Brotherhood along with William Holman Hunt (Rafe Spall) and John Millais (Samuel Barnett), this trio of rogue artists set out to shake up the art world of Victorian London. While probably just as talented as his comrades, Rossetti was easily distracted by drink and carousing and frustrated by artist’s block. This gave him the reputation for being lazy, but when inspiration struck, he was as passionate and driven as any great painter. Hattie. In this TV biopic, comedic actress Hattie Jacques (Ruth Jones) meets handsome John Schofield (Turner) at a leukemia charity event. When Schofield and his wife split after the death of their son, he moves in with Hattie and her family. Quickly the relationship turns from lodger to lover, right under Hattie’s husband John LeMesurier’s (Robert Bathurst) nose. Being Human. I first discovered Turner as a brooding and conflicted vampire in this unique fantasy dramedy. A perfect vehicle for Turner’s intensity and charisma, John Mitchell is a man tortured by his conscience to do right while his undead desires are always knocking about in the back of his mind. Along with Annie the ghost (Lenora Crichlow) and werewolf George (Russell Tovey), the housemates try to navigate the supernatural world together. Sometimes they face heavy stuff like evil scientists or the constant threat of a vampire coup. Other days it’s just the frustration of keeping up with the ever-changing BBC TV schedules. Mortal Instruments: City of Bones. Not straying too far from his days as a mythical bloodsucker, Turner took on the part of a Shadow Hunter who just happens to be a werewolf in the first installment of Cassandra Clare’s teen fantasy novels to be adapted for the big screen. Clary (Lily Collins) is experiencing some unusual changes that she can’t explain. Her mother Jocelyn (Lena Headey) is hesitant to explain what is happening to her in order to keep her daughter safe, but family friend Luke (Turner) is convinced Clary is ready to know about her powers and the unseen forces they’ve been fighting all these years. However, it is Kili’s loyalty to Thorin (Richard Armitage) and his people which defines the young dwarf’s character. A bit headstrong and naïve, no one can question his devotion or doubt that his heart is in the right place. This week on "Poldark": The women of Cornwall are what make this episode worth watching. This week on "Poldark": There is heartbreak to go around for everyone, except, of course, for George Wargleggan. Because we can't have nice things. This week on "Poldark": Season 4 kicks off with an episode that has everything: Politics, pregnancy and a group hanging.